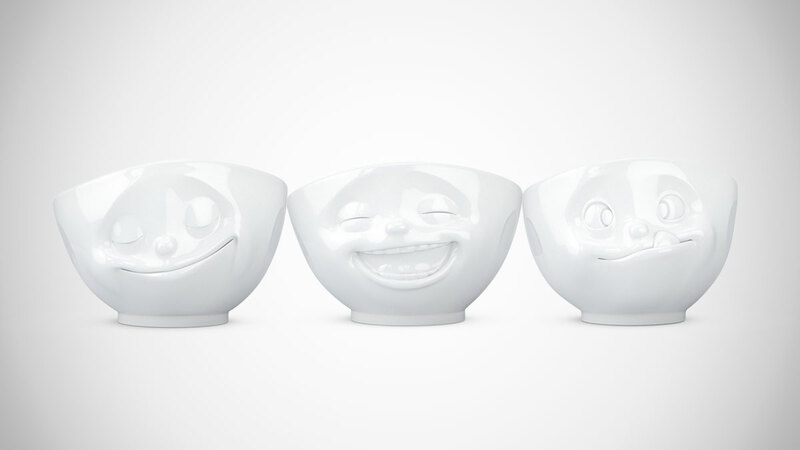 Emoji-bowls might be the best way to describe Tassen's expressive line of cereal and ice cream bowls. 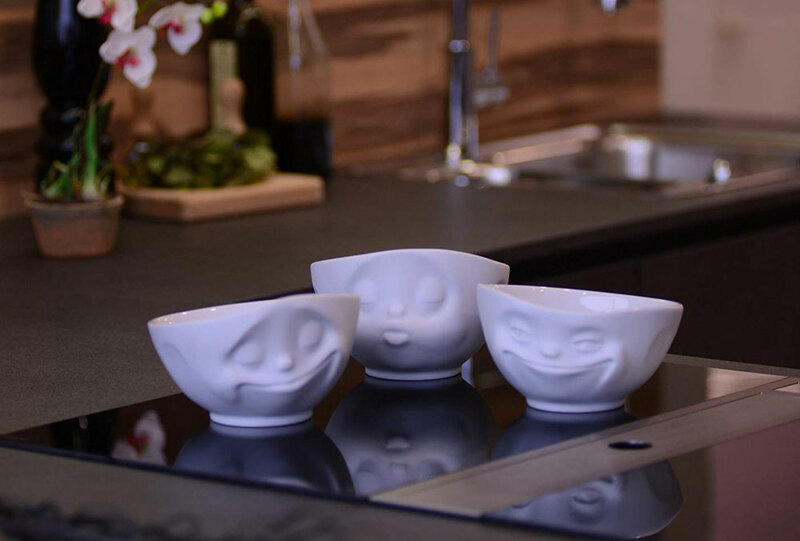 The dishes, sold separately here, come in a few different sizes and several emotive characters sure to make you smile as you eat your morning Lucky Charms or after-dinner Mocha Chip. 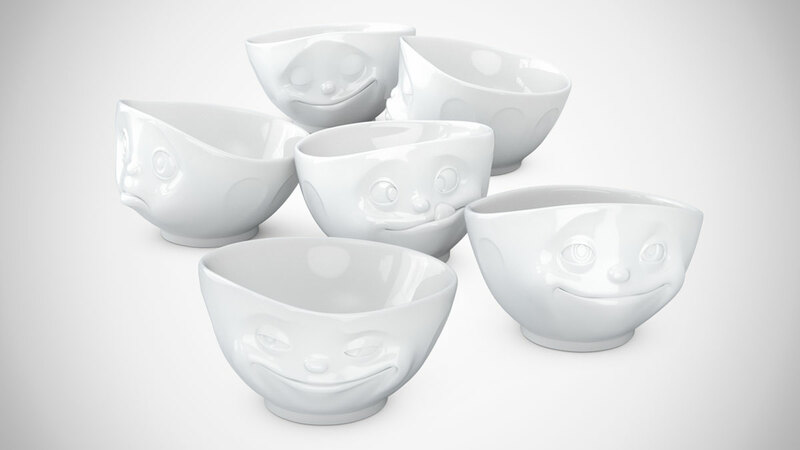 The Tassen bowls could also make you laugh hysterically or freak the F out if you use them as a munchie vessel after a few rounds of Volcano. Tassen dishes are made in Germany from glazed genuine hard porcelain china. 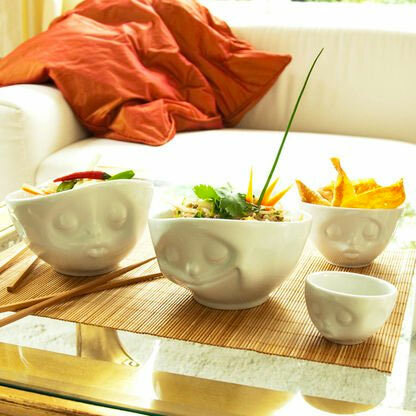 Bowls come in 100mL, 200mL, 500mL, and 1000mL capacities, and expressions including Happy, Grinning, Kissing, Oh Please!, and Tasty.